The MOMO Heritage Prototipo steering wheel goes back in time to celebrate the history of MOMO. Its rim is covered in distressed black leather with white contrast stitching, giving it a worldly, well-worn look. The classic round rim has three silver cut-out spokes and measures 350mm in diameter, making it ideal for larger sedans and GT cars. 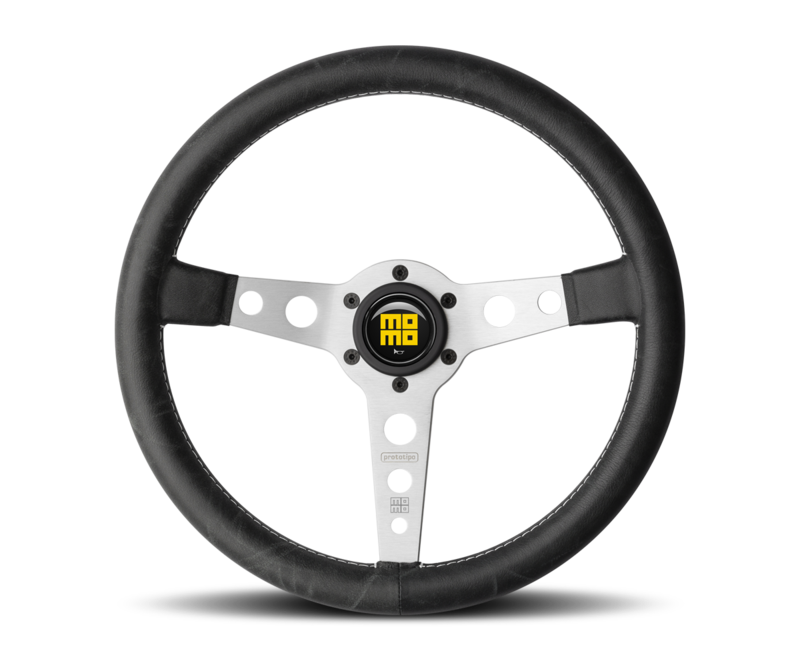 The MOMO Heritage Prototipo steering wheel includes the MOMO Heritage logo on the horn button.